Bakery Industry: Cadbury Oreos Is Here Finally ! 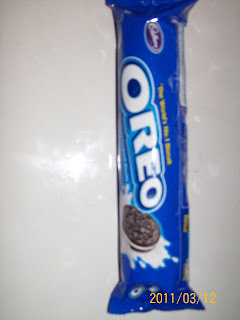 Kraft food s has launched its major brand OREO BISCUITS in India and in few days of its announcement products can be seen in all major supermarkets in Delhi . Oreo has price tags of Rs 20/ - for 137 gms and Rs 10/- for 68.6gms. But it wont be a cake walk for Cadbury Oreo biscuits as it has to face local competition from Britannia s Treat O and ITC's Dark Fantasy .